These are the top 5 I have personally used for items I sell, use and love. I will have another list for the top 5 I am dreaming of. 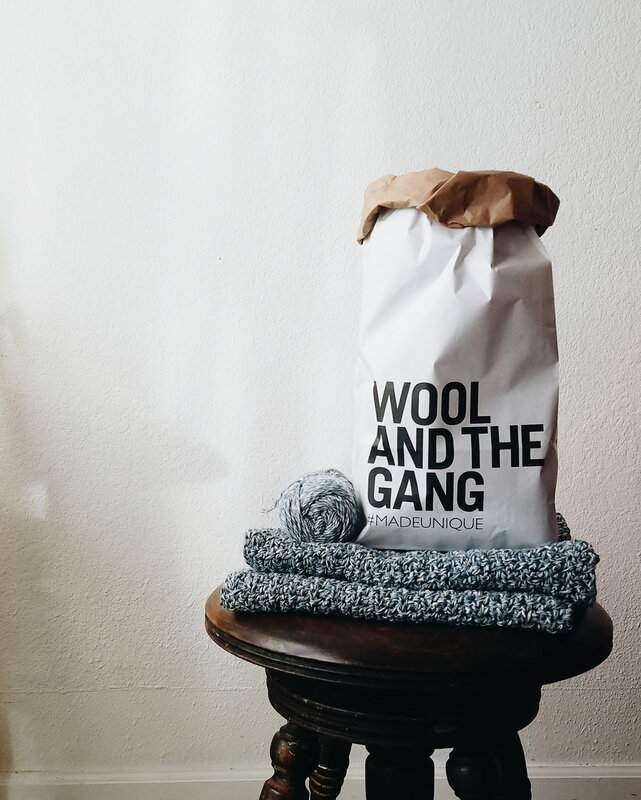 from Wool and the Gang. 2. The quality was great, minus one skein I got that had not one, two, three, four, five, joins/knots in it, no it had EIGHT joins! Yikes! I am glad it was for me because I would not have been okay with that for a client. They did offer to send me a new skein, but I was going to have to take pictures of the knots and I really didn't want to or have the time to do that. BUT! Overall the quality was great. 3. If you are new to crocheting or knitting it may be a little frustrating to get used to, because there are so many threads that make up this strand of yarn. And you can't use a very pointy hook or it splits the yarn. The many threads though make for a vary pretty yarn. To sum it up, the Billie Jean Yarn is far from perfect but I really loved working with it and it has made one of my favorite sweaters. This yarn is simply soft, (hahaha) ;P I have used this yarn for both products and personal items, ranging from garments, bonnets and blankets. My favorites were these limited willow bonnets. Anyhow here is what I think about this yarn. 1. There are a lot of color choices! Which can be a good and bad thing. One of my favorites is this fawn like color (bone). 2. The quality is pretty good for the price, it holds up to washing and wear. It of course isn't going to compare to your high end natural fibers, but it is a great vegan budget friendly option. 3. This yarn is good for beginner and experienced knitter/crocheter and can make a large number of projects. 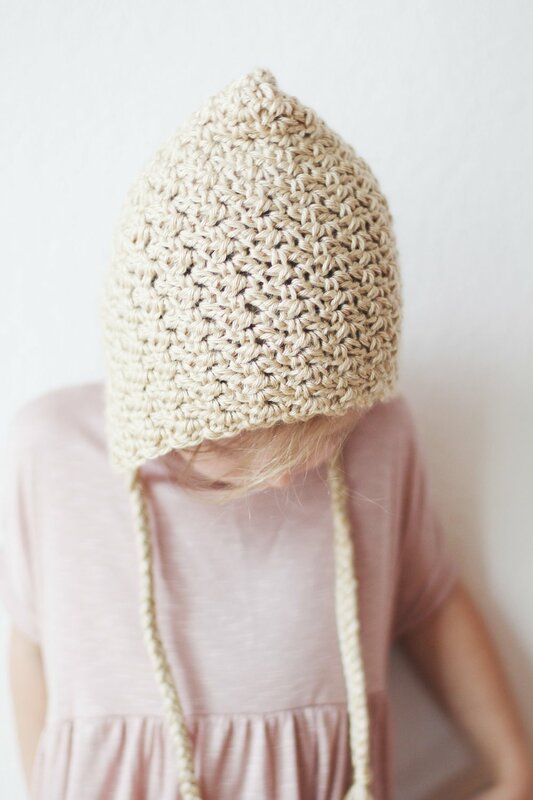 I have yet to knit with it (but I have a project in mind) and it crochets up smooth and easy. So basically I really enjoy this yarn and will continue to use it for a long time to come. 1. It is extremely soft and has a lot of great color options. I of course stick to the neutrals for the most part. 2. The quality is great for the price, again, it isn't going to compare to the high end bulky yarns, like those merino roving yarns. BUT! For a the price I love it, I have never had one complaint with anything I have made from it, and I have made a lot of products using it. The yarn wears well, after a wash it gets a crazy fuzzy look, but becomes even softer. 3. It is a great yarn for anyone who wants to make a quick budget friendly project. All in all, it has always been a favorite of mine and probably always will be. Yes Lion Brand has made the list twice, and yes both are bulky yarns. They are very different though, sometimes I'll use them for the same type of items, but sometimes one does the job better than the other. Here is what I like about this one. 1. This acrylic wool blend is pretty soft, but not a baby blanket soft yarn. I wouldn't mind a blanket made out of this yarn though. 2. The quality is good for the price, depending on where you get it the price will vary, sometimes a lot. Which can be a little annoying. 3. It is the perfect yarn though for someone who wants the durability of an acrylic with the warmth of wool and on a budget. Overall it is one of my favorites to work with for myself, gifts and products for my shop. This is a great yarn I found from a local yarn store. 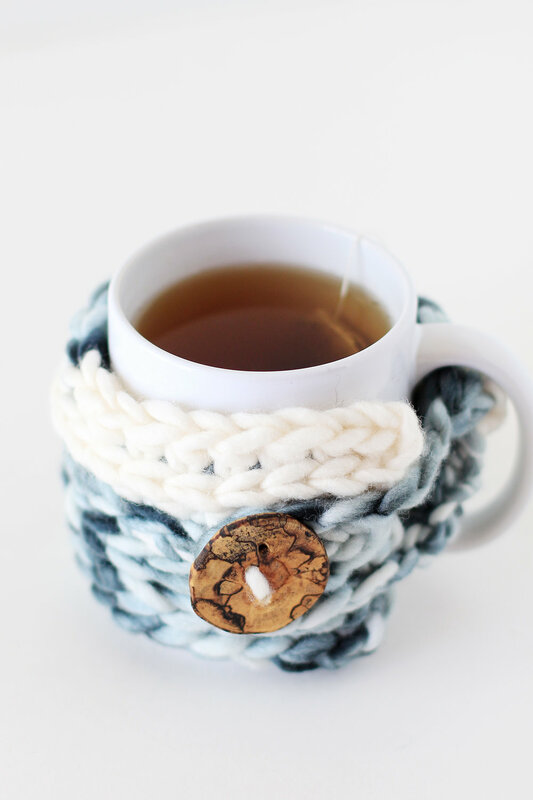 I first tried a oatmeal color, which I made mug cozies out of. I then ordered the natural color and hand dyed it the denim blue color, which I fell in love with. 1. It is soft, but not a crazy soft wool, like merino. I would use it for a blanket, or something I'd wear, like a hat or scarf. 2. The quality is great! It was my first purchase of a bulky wool roving yarn and is still my favorite. It was about 20.00 at my yarn store, which isn't too bad next to your Wool and the Gang and We are Knitters yarn. 3. The main drawback I have found is finding this yarn. Aside from my yarn store it is really hard to find online. So basically I love this yarn a lot when I can find it.